Although I've not experienced infertility myself, I've had people I'm close to go through this very difficult journey. The authors open their hearts as they share stories of pain, joy, hope, and faith. Every woman going through infertility, miscarriage, and trials of trying to have a baby can find something that will encourage and educate. The authors include their husbands thoughts and experiences as well as practical advice, from what to ask a doctor to the details of what they experienced during testing. At the end of each chapter, the writers give the readers an opportunity to work through their own story by digging in and answering questions, writing prayers, and praises as well as recording their own questions. 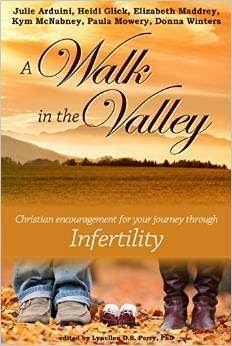 I recommend A Walk in the Valley not just for anyone going through infertility, but for anyone who needs to understand their family and friends' struggle. I learned so much. 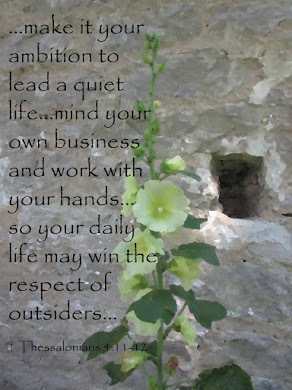 I received a free copy of A Walk in the Valley from Clalfont House Publishers in exchange for my honest review.